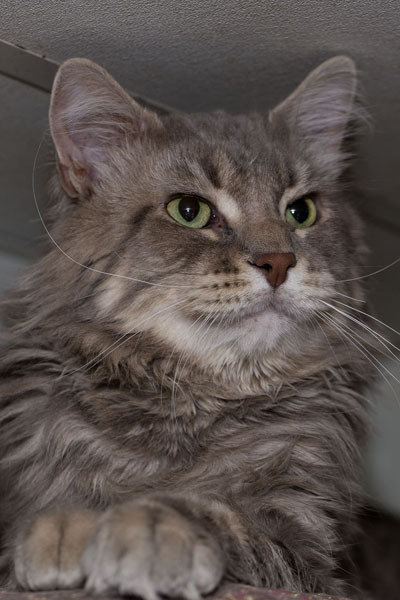 Snuggles is a big fluffy guy who is very friendly and outgoing. He will be there at the door to greet you when you come home from work, and make your day all the better for it. He does chat on occasion and loves to play with the noodle toy. He acts more like a two month old than a two year old when it comes to playtime. Snuggles will get up on your lap when playtime ends, and settle in for a well-deserved nap. Just think of the times you’ll have together! Stop by and meet this sweet, handsome fellow soon. 2015-02-22: Lucky Mr. Snuggles found his forever home today! 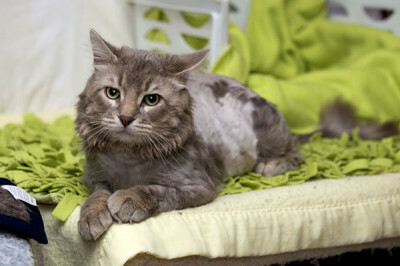 He is reportedly thrilled to explore his home, and get to know and appreciate his new family!